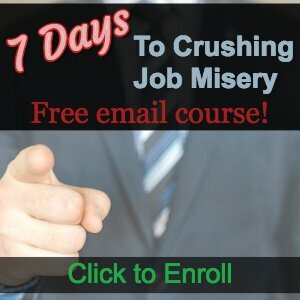 Do you hate your job? I used to. I bounced between thinking management just didn’t give a damn about its employees and thinking they’re doing evil things to us on purpose just to see how much we’ll take. It sometimes seemed like they were trying to make us miserable. I now realize how absurd that was. Whether or not your bosses actually care about you is irrelevant. 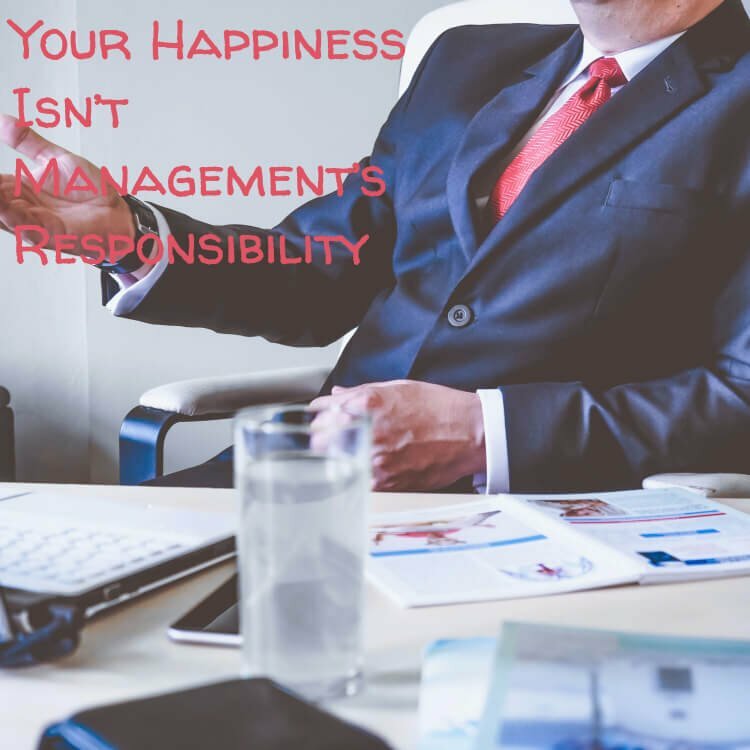 Your happiness is not management’s responsibility. 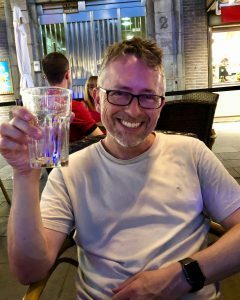 Even if you have the coolest boss in the world (mine manager’s pretty freaking cool), do you really want to leave something as important as your well-being up to someone else? They’re just doing what they can to get their jobs done. In spite of how their means or motives might seem, they’re not out to get us. Although there may be questions about whether individual executives care about our well-being, the truth is that management is probably not trying to make us miserable. When I published Your Happiness Is your Responsibility a few months ago, I didn’t think to apply it to work. I’ve noticed in my 25 years that it’s really easy to forget to apply life lessons to work. Work is one of the best places to learn these valuable lessons. Still, we don’t apply them to our jobs for some reason. I’d say maybe that’s just me, but I’ve seen too many people miserable in their jobs. Responsibility for your own happiness applies to work too, though. 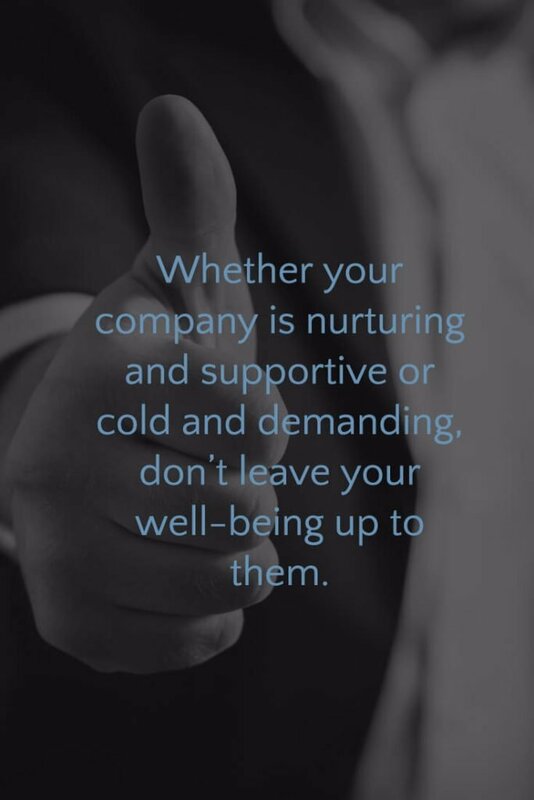 Whether your company is nurturing and supportive or cold and demanding, don’t leave your well-being up to them. Does it Make Sense for Bosses to Care? I think it does. Not every industry is the same. In some industries, a patent, a machine or a software program might be the most valuable asset. In companies that need employees to create and solve and in companies that need employees to interact with customers, employees should be the most valuable asset. Investing in employee well-being would in general boost employee happiness and would usually increase employee’s energy, creativity, and productivity. A few will be miserable no matter what. That investment may cost more in the short-term, but it’s reasonable to expect good returns on investing in employees over the long-term to the company, the customers, and the shareholders. And the executives. Plus, treating people well just seems like the right thing to do, doesn’t it? But what if they don’t? Or what if what they do doesn’t appeal to everyone? Don’t Give ‘em the Power! In Your Happiness Is Your Responsibility and in Happiness Isn’t Something You Can Get, I stressed not leaving happiness up to someone else. I need to emphasize a crucial point. Just as depending on management to make us happy is a bad idea, letting them prevent our happiness is equally bad. Do not allow anyone else to ruin your Happiness. Even if they do care about your happiness, and they probably do, maybe. How likely are they to get it right? That’s the connection we don’t make. We probably ignore it because it takes the responsibility and instead of letting someone else have it. We’ll blame the execs. We’ll think and say that they don’t care about us, that they’re just idiots who don’t know how to run a company or both. Then we’ll blame them for making us miserable. Why would we give someone so ruthless or inept control of our happiness? Even if they do care. Even if they’re brilliant, they won’t get it right for everyone. They may not get it right for you, so don’t leave it up to them. Remember they have bosses too. They might be just as miserable as we are. They might need a corporate survival course. If they’re not happy enough themselves to make treating others well a priority, they are the wrong person to entrust with something as important as your well-being. Does Management Care about Your Well-being? Some execs care about our well-being. Some don’t. Chances are we’ll admire and appreciate the execs who are skilled in at least pretending to care. We too easily despise the ones who don’t seem to care. It’s dangerous to give others power over our well-being, especially corporate management. Your well-being isn’t management’s responsibility. Check out Jim Rohn’s humorous advice on responsibility. It’s the second time I’ve shared it, but it’s good enough to watch over and over!